Hillsboro attorney Anne E. Tracey specializes in Oregon Family Law, Criminal Defense, and Juvenile Court Litigation. 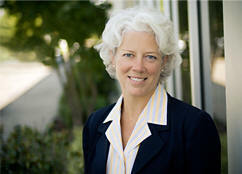 Ms. Tracey has practiced law in the Pacific Northwest since 1990. She has served as an Oregon Municipal Court Judge and Oregon Pro Tem Judge since 2000. Her solo practice in Hillsboro, Washington County, Oregon provides clients with hands on legal assistance and representation in complex matters that are of great importance. Anne E. Tracey's diligence and hard work have allowed hundreds of clients to conclude their cases with great satisfaction. To schedule a consultation please call 1.503.640.0708 Anne E. Tracey makes every attempt to accommodate your schedule. Contact Anne E. Tracey at anne@annetraceylaw.com or anneetracey@hotmail.com. Consultations and appointments for a reasonable fee. Anne E. Tracey serves the Pacific Northwest communities of Hillsboro, Oregon, Portland, Oregon and the surrounding areas in all types of Oregon family law issues, Oregon criminal law and Oregon driving cases as well as Oregon juvenile law matters. Anne Tracey has been a member of the Oregon State Bar since 1990. She is also is a member of the Oregon Criminal Defense Lawyers Association and a member of the Oregon Defense Attorneys Consortium.